For all your vehicle sound system needs we are always happy to help. Whatever you need fitting, our team of auto electricians are on hand ready to help. Whether you require the installation of a Sat Nav, DVD player, sub and amps, CD player or even a hands-free kit; you can always count on Fastlane Autocare to deliver a professional fitting every time. 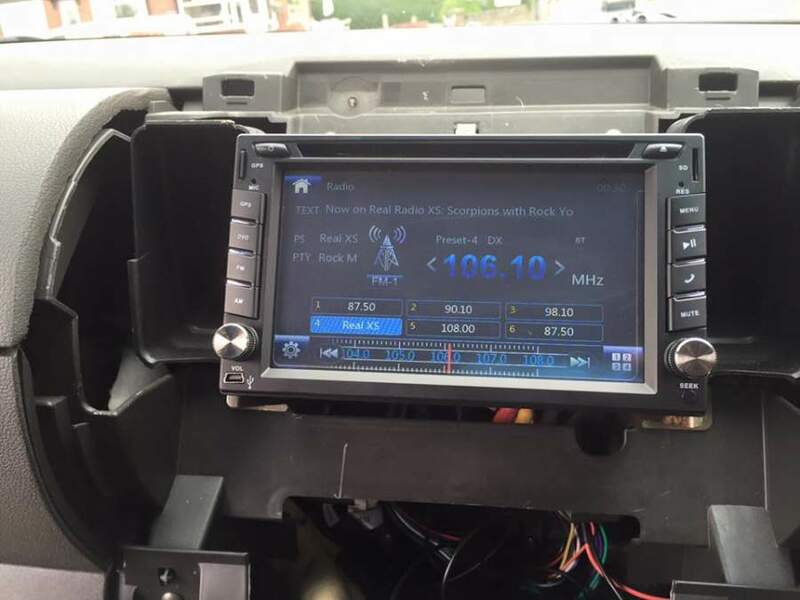 From just £84.95, we can install your new car stereo, DAB radio stereo DVD player, speakers, subwoofers or amplifier. We also specialise in connecting iPods and MP3 players to your audio system. With Fastlane Autocare, every installation whether it be big or small comes complete with EQ sound setting all included in the price! Our fitting team are tip top! We can fit 95% of stereo upgrades at your home or workplace! We even put after-market model radios such as SONY, JVC, Alpine, Pioneer and Kenwood in place of your factory radio. We also stock new base plates and radio adapters, as well as power leads and audio cables, should you need them. We also install insurance approved dash cameras. Our dash cams are very user-friendly, fully installed with a hard drive that records footage straight to the camera itself and can be accessed via a computer which makes this a very handy bit of kit indeed! We install dash cameras to customers who want peace of mind for their own vehicle and safety, to corporate clients who require dash cameras for insurance purposes. The dash cameras that we supply and fit have proven time and time again to be of a very high quality. If you have already purchased a dash camera but would prefer for it to be installed correctly and professionally, we also offer a fitting and installation service. We guarantee a secure, reliable fitting for 12 months after we've supplied and installed any new audio system, so if anything does happen to go wrong, we will be sure to fix it for you. Car audio fitting carried out by fully qualified auto electricians who really 'know their stuff'! Our qualified fitters complete audio installations daily. Fastlane Autocare regularly deals with large and small installations, no matter what you need or have in mind we are able to make it happen. Your vehicle's new entertainment system is just a phone call away! From audio units to Bluetooth devices, at Fastlane Autocare, we can help you make the right direction about any in-car upgrades you would like to know about. We know there is a lot of choice regarding audio upgrades and we are on hand to simplify this for you. Fastlane Autocare has many links with UK suppliers in the motor trade industry which will ensure great deals and competitively priced audio solutions for each customer. If you choose Fastlane Autocare, we guarantee a quality and expert installation service, as well as a competitively priced radio, dash cam or sound system part. What are the best options for my budget? We can help you choose accessories you might need to get your sound or entertainment system working to its full potential. We have carried out upgrades on vehicles when other garages have previously told our customers they needed to go to the main dealer. Needless to say, our customers have been overjoyed when we have upgraded their vehicle for a fraction of the cost of the main dealer price! We are up to 50% cheaper than the main dealers as we offer a mobile service which also means convenience for our customers. We have branches all over the North West area. Each of our branches is equipped to deal with any audio enhancement or dash cam installation you may need for your car, van, truck, boat, caravan, camper or even your motorhome. We have branches in areas including: Stockport, Congleton, Trafford, Manchester, Liverpool, Southport, Runcorn, Atherton, Wirral, Chester, Lymm, Cheshire, Radcliffe, Helsby, Leyland, Oldham, Queensferry, Skelmersdale, Swinton, Trafford, Walkden, Deeside, Denton, Hale, Chorley, Bury, Bolton, Warrington, Wigan and Widnes. With our fully equipped vans, we can offer a mobile service for audio and dash cam installations in any location in the whole of the North West. If you're thinking of upgrading, give us a call on 07943185471 where we will be happy to help!